Save Japan: I Wish I Could Use Magic! Popopopon! The situation is getting worse and worse after the greatest earthquake, which hit Japan on March 11, on record. According to the National Police Agency, as of 10 o’clock in the morning of the 29th, the number of dead is 11.063, missing is 18.321, and people taking shelter is over 181.000. 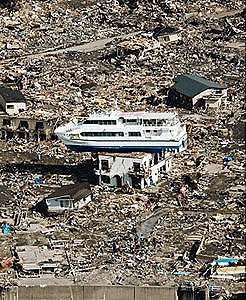 Miyagi prefecture has 6744 deaths, the greatest number of dead, and has a large amount of rubbles which is equivalent to its quantity of refuse of 23 years. Ibaraki and Chiba prefectures have suffered from liquefaction damage. A lot of people cannot use either the tap water or sewerage still now because the liquefaction phenomenon has destroyed pipes underground. So, some of them cannot use the gas, either. Tokyo Disney Land is in Chiba prefecture and they have no prospects for restarting. Its vast parking lot has become rough and been covered sand spewed from the earth. In addition, they need a great amount of electric power, but now power has been cut because of the huge trouble of Fukushima Nuclear Power Plant. Because of all the gloom, most of the companies in Japan have stopped advertising on TV. So, all the commercial TV stations have aired spots made by AC (Advertising Council Japan) instead of usual CMs. Recently AC has released some new spots made after the quake because many people complained about same ones repeated over again and again, but before that there were about five kinds. That’s why, most Japanese have been able to sing a song, and many of them sometimes must be singing the song unconsciously. It’s called “Aisatsu no maho”, or magic of greetings. The song has soothed people in spited of this tragic situation… Ah! If I could use magic like this song, I would stop and cool the nuclear reactors, wipe out harmful radiation, and put everything back into place! Popopopon! 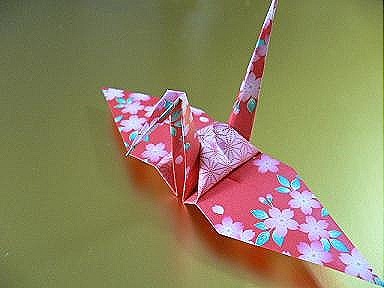 The Northeastern Japan Earthquake hit on March 11 when I thought I was going to write something on this page. I felt something strange in my room around 2:45 in the afternoon. It was as if something blocked my ears suddenly. Earthquake! I thought that, but the shakiness didn’t come soon. So, I started thinking I was wrong, when it came very slowly like a huge snake slithering underground. The quake was felt for about three minutes. I’ve never experienced such a long and powerful earthquake before. The quake with the magnitude 9.0 is the largest in Japan since records began in 1879. Next morning, it was revealed that things were getting worse and worse. Not only the earthquake itself but also tsunami triggered by the quake have destroyed many towns and killed a great number of people. 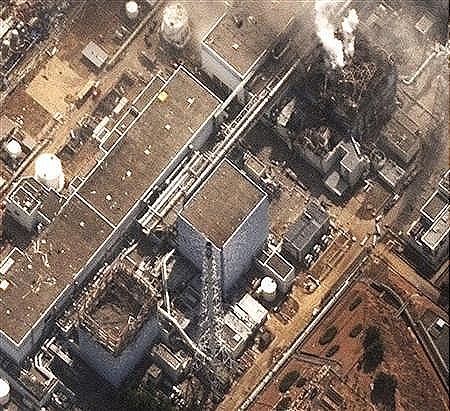 Moreover, the earthquake and the tsunami have severely damaged the Nuclear Power Plant in Fukushima. According to a report today of March 26, 10.151 people are dead, and 17.053 are missing, and 17 workers at the power plant were radiation-exposed. The number must increase day by day. Japan and Tokyo Electric Power Company haven’t controlled the nuclear reactors yet, and which have leaked radiation. Various sources of rivers, fields and the ocean are radioactivity-contaminated, and numerous people are facing lack of water. Lots of farmers have been ordered to stop shipping vegetables in Kanto area because of the radiation pollution. That’s why people who are not disaster victims cannot get water, vegetables and many supplies easily in Japan. Kanto area including the Tokyo metropolitan district has been forced to cut powers. It is taking a huge toll on not only economies but also daily lives. So, now we are working on ways to save electricity. It is called Yashima Sakusen, or Operation Yashima in the youth. It means saving electricity, for example, disconnecting unnecessary plugs from the wall outlet, or avoiding cooking and taking a bath in evening, when many people use the power. 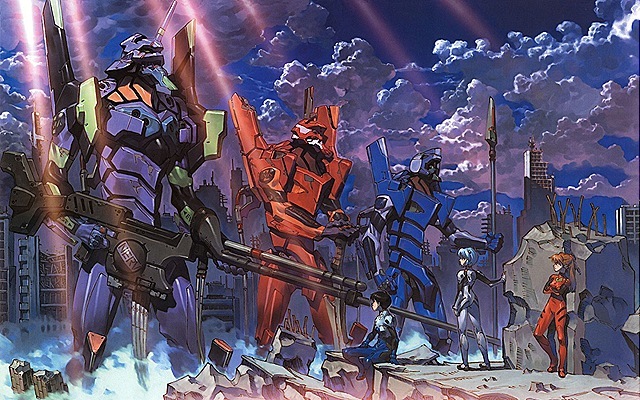 The name of Yashima Sakusen (Operation Yashima) comes from an episode of “Neon Genesis Evangelion”, a Japanese animation in 1995. In the story, robots operated by boys and girls inside fight to enemies. In the episode six, the robots base faces power shortage, and it collects power from all over Japan, and then robots defeat the enemy. It is called “Yashima Sakusen (Operatin Yashima)” in the animation. So, you may find notices like “We are saving electricity by Operation Yashima” here and there in Japan. By the way, the word of Yashima is a place name and the original operation in the animation comes from an old war in Japan in 1185. Actually, there is another campaign called Ueshima Sakusen (Operation Ueshima) among young people. It means stopping panic buying. After the earthquake, many people have started buying up, such as pet bottled water, flashlights, dry cell batteries, rice, dried noodles, rice cake, instant rice, crackers, cookies, canned foods, toilet paper, tissue paper, diapers, and fuel etc…It’s difficult to buy those above even outside devastated area now. Ueshima Sakusen (Operation Ueshima) appeals people, especially for elders, not to buy things if you don’t need them really. The name of Ueshima Sakusen made after Yashima Sakusen. Ueshima is a member of a comic trio named Dacho Club. “Dozo, dozo,” is one of their gag lines. “Dozo, dozo,” means “Please go ahead.” Other two members, Higo and Jimon, bid for something difficult or nasty mission, saying “Me! Me!” while Ueshima is hesitating to volunteer. But Ueshima raises a hand and says, “Me!” in spite of himself later. Then the rest of the two start saying, “Go ahead, please,” and let Ueshima do the mission. So, the campaign suggests giving over. Radiation leak is not only a domestic problem. It’s a big issue for all over the world. I hope those nuclear power plant will be under control as soon as possible.The current situation in Japan is really disastrous and people are far from over. But we haven’t forgotten smiles and humors yet as you see above. Japan is now trying to get back on its feet with support of a great number of countries and areas and people. Thank you for your help and support.